I am a fairly new reader to Brenda Rothert, but she has made me a fan! She has unique storylines and great characters, both stay with me long after I have read the last page. Anton and Mia know each other. After all, she is married to his teammate, Adam. Anton is the direct opposite of Adam…responsible and sweet. He takes his job as captain seriously. His biggest vice is he is in love with Mia, and he can never have her. He doesn’t mess around with other men’s wives. Anton has no idea that Mia has left Adam, and she is finally on the brink of having her independence from her cheating, abusive husband. One innocent, chance encounter between these two will possibly give them a chance at happiness, but it definitely won’t be an easy road. Please know this isn’t a novel about cheating. Anton and Mia have too much integrity for that. The two develop a friendship which is huge for Mia. She doesn’t trust easily after enduring years with Adam. Anton is everything Adam isn’t. He epitomizes “warmth, love, and joy.” He loves his family, and he is so patient with Mia. He also becomes her biggest champion. Mia doesn’t believe in herself much anymore. She is fierce, sassy, and trying to gain her independence again. Anton helps her find that belief in herself again. Like Anton, she is loyal and loving. She spreads joy to those around her, especially Anton’s grumpy but loveable Uncle Dix. 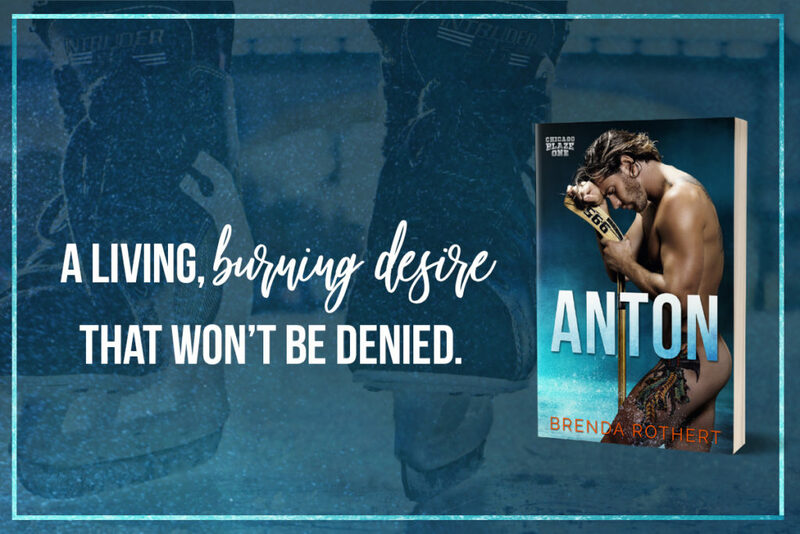 If you are expecting a normal hockey romance, this one isn’t. It is much better!!!! There is definitely chemistry between both of them, but it isn’t the foundation of the story. The foundation of the book revolves around love…love between a couple, love of family, love of friendship, and love for your fellow man!!!! Rothert continues to amaze me with her storytelling ability. It’s somewhat outside of the box, and I LOVE it!!! I can’t wait to get stories from the other guys, especially Anton’s twin brother. I hope Mia’s friend, Anita, will get her HEA too!!! !